Celebrating the original Nightmare on Elm Street Films comes the definitive versions of Freddy from Parts 3 and 4. 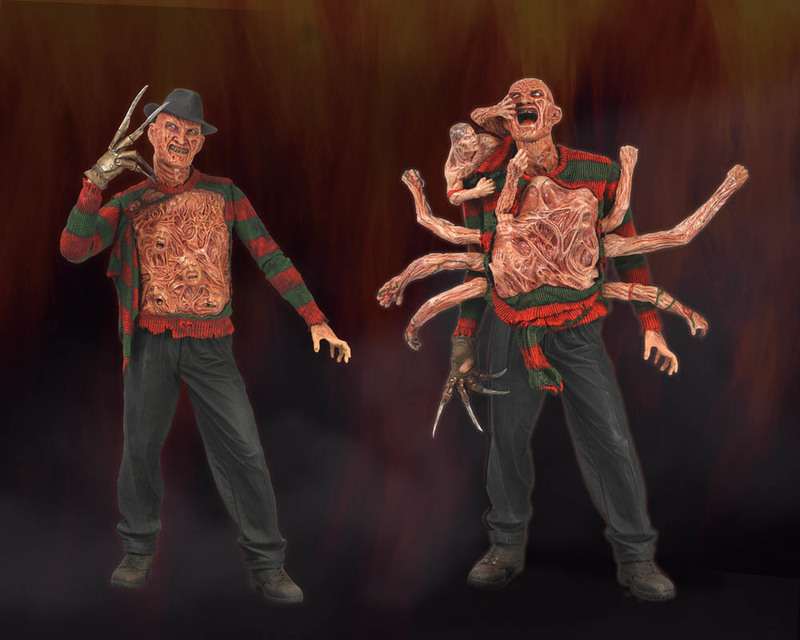 The Dream Warriors Freddy includes a replica of the Elm Street house, the chest of souls, 2 different heads, and a removable hat. The Dream Master Freddy features the bodies and arms emerging from the Chest of Souls – featuring 8 different articulated arms!! Figures stand almost 7″ tall and are poseable and incredibly detailed and movie accurate.